A True Classic 50s Style Reading Glasses. High quality spherical lenses provide superb optical clarity. The Wayfarer style really looks cool, and hit its stride most notably in the 80s due in part to movies like the Blues Brothers, Risky Business, Miami Vice, and Breakfast Club. Meets ANZI Z80.3 high UV protection standards. Passed FDA inspection with impact resistance lenses and guaranteed to absorb more than 99% of harmful UVA and UVB rays. 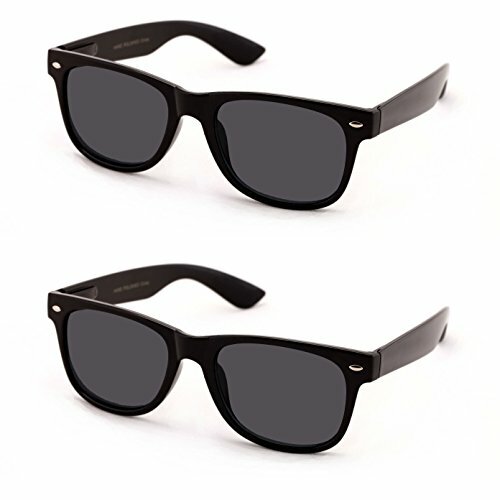 Classic wayfarer style sunglasses with reading magnification. If you have any questions about this product by Vision World Eyewear, contact us by completing and submitting the form below. If you are looking for a specif part number, please include it with your message.